Flood insurance rates can vary depending on your location, elevation, property value and a number of other factors. To ensure you obtain a policy that keeps you covered without paying too high of a premium, turn to none other than the experienced insurance agents at Five Brothers Insurance. Five Brothers Insurance has been family-owned and operated for nearly 30 years, and we’ve served the insurance needs of thousands of home and business owners. Still an independent agency, we are able to truly shop the market to find you the best policy to meet your needs – without breaking your budget. A Five Brothers Insurance agent can provide you with a flood insurance quote from many of the nation’s leading insurers, along with a quote for nearly any other insurance needs you may have. We will take the time to truly understand your needs and budget and work closely with you to determine your exact coverage requirements. Once we have collected the necessary information, we can expertly guide you to the most comprehensive policy with the best flood insurance rates available to protect your home or commercial property. At Five Brothers Insurance, we offer comprehensive insurance coverage to ensure that all of your biggest investments are covered when you need it most. Our agents treat policyholders like family and provide personalized, dedicated and attentive service at all times. 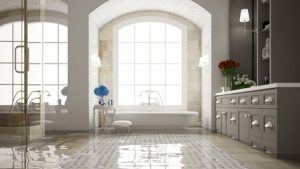 If you own a home or commercial property in Apollo Beach, St. Pete Beach, Safety Harbor, Oldsmar, Bradenton or the neighboring cities and have been searching the market for the best flood insurance rates, contact Five Brothers Insurance today to request a free flood insurance quote from the world’s most reputable insurance companies. We look forward to serving your insurance needs!